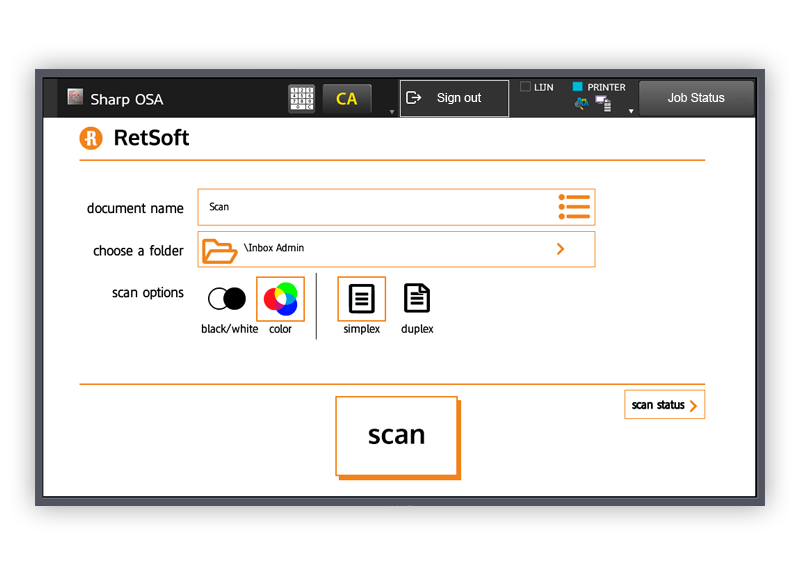 RetSoft offers you the possibility to scan into RetSoft archive from any Multifunctional Printer (MFP) which scan to a network folder. 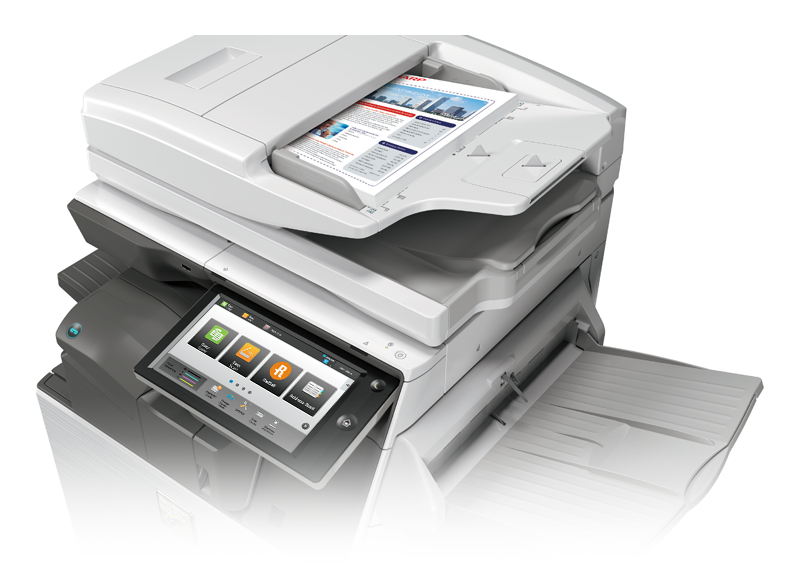 If you have a Sharp or OKI MFP you can also access RetSoft via the display on the MFP. You can configure this in two ways. 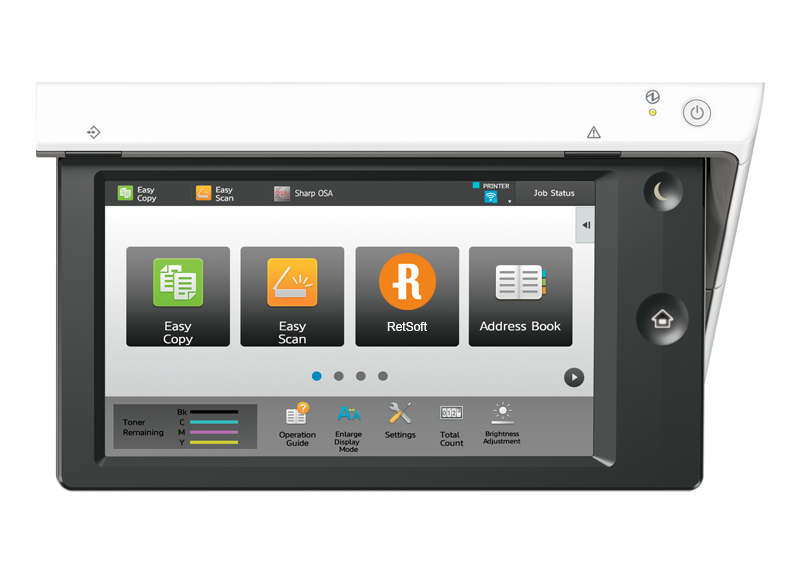 Configure the MFP to scan to a specific folder on your network. Then use ‘FileSync’ from RetSoft to sync that folder into RetSoft. 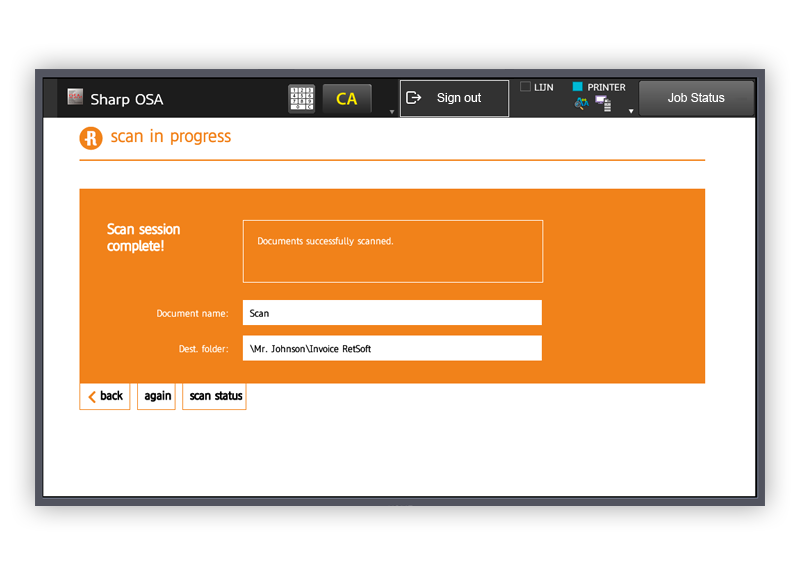 When you have Sharp MFP’s you can also use our OSA connector. This will give you access to RetSoft at the machine via its screen. 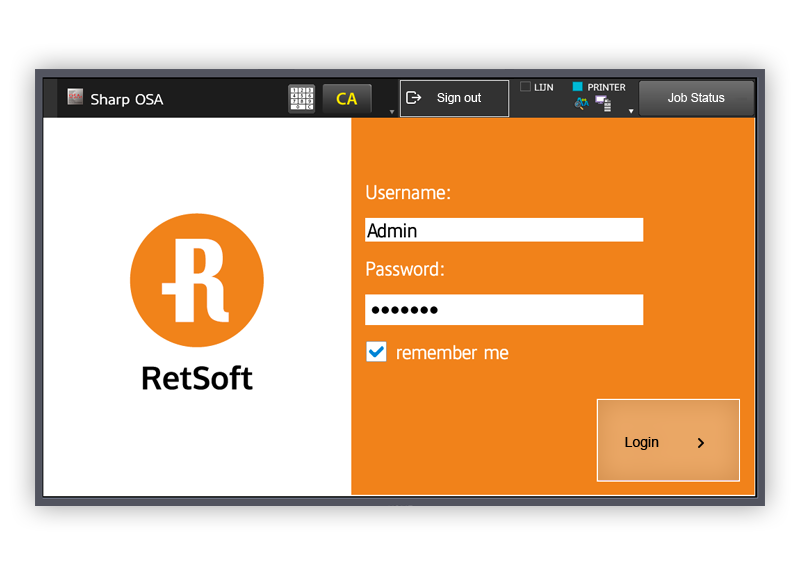 You will get a special ‘RetSoft’ button on the start screen. After clicking the RetSoft button you will see the following screen. Here we ask the user to log into RetSoft using his or her username and password. This way the user can scan directly into folders that are protected by a login system. This screen is shown if you want to select a different folder that the default Inbox of a user. 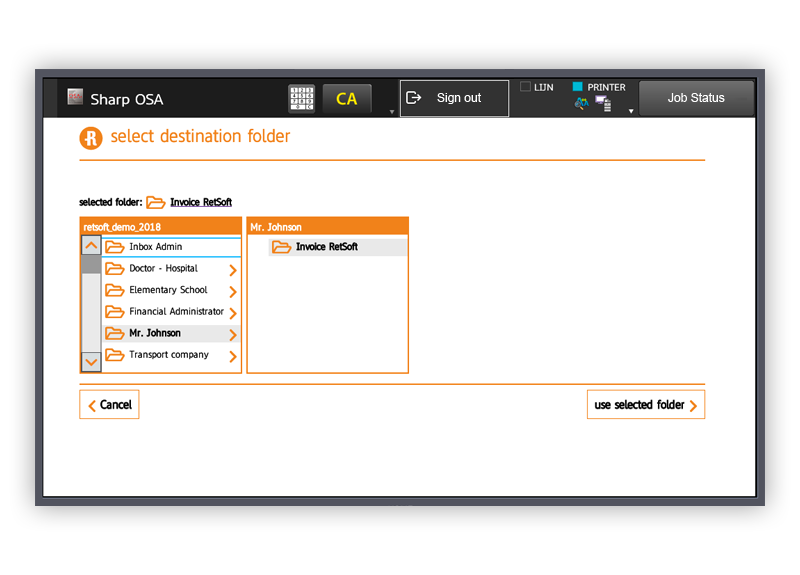 The user can browse through all available folders in Retsoft that are accessible to the user. If you are ready, click “scan” to start the scan operation. When the scan is completed you see the screen above. If anything went wrong, you will get an error message onn your screen.